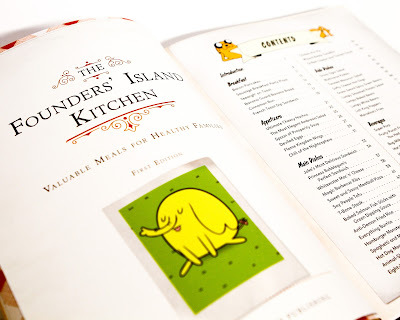 Things To Do In Los Angeles: Adventure Time: The Official Cookbook Review If You Love The Show Eat It! Adventure Time: The Official Cookbook Review If You Love The Show Eat It! 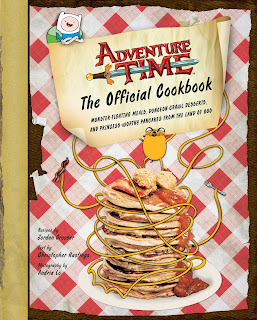 Adventure Time comes back as a mini-series this January, in the mean time why not eat it up Ooo-style with a special collection of recipes that capture the flavor of Finn and Jake's adventures. 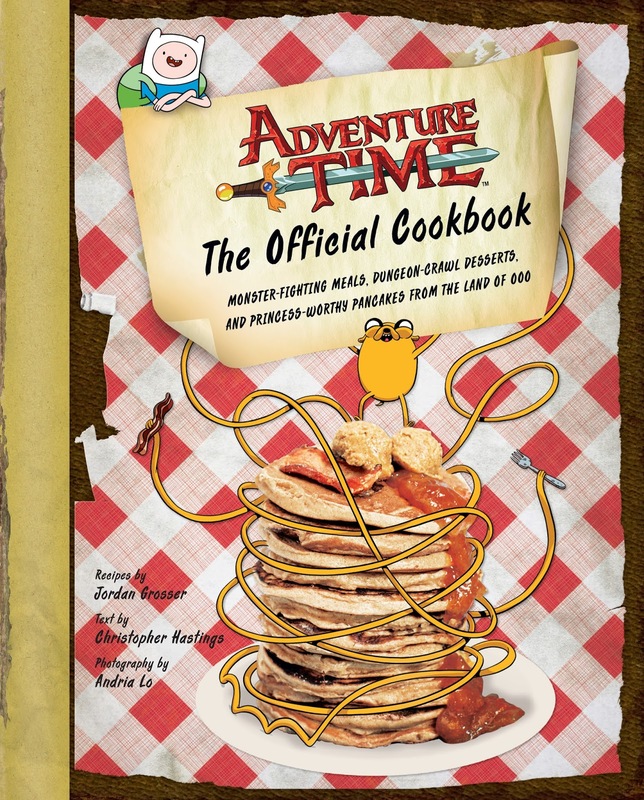 For the fan or the Mom or Dad of the fan this collection serves as a guide on how to make some treats and eats from the show with some other fun recipes to round up the book. In presentation the book has a charming feel to it. 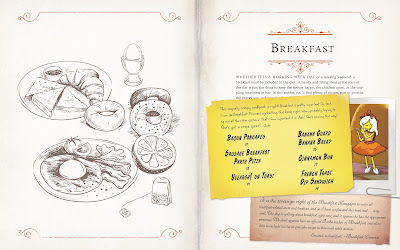 With illustrations, photos of finished recipes and a photo of whom made it, you'll connect to the show while making the munchies in it. The collection isn't just treats, but full meals for every time of day. 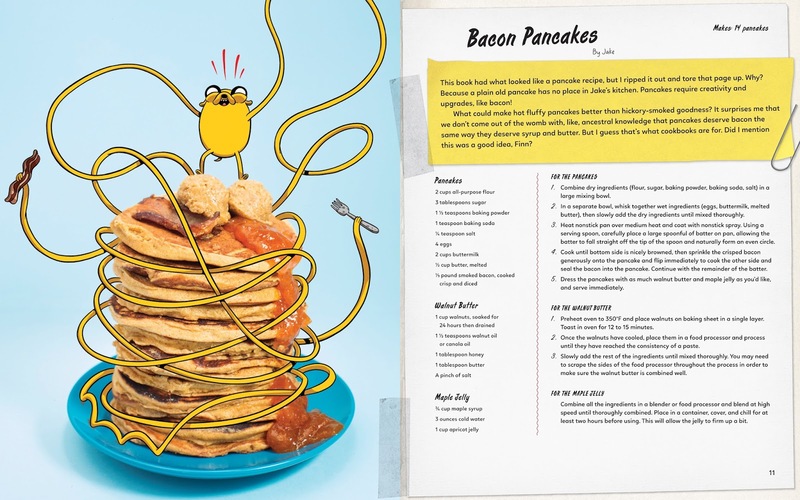 Bacon Pancakes, which might be the sole reason this book exists, make for a nice breakfast. Jake's Most Delicious Sandwich would fill anyone up and may spoil a dinner of Everything Burrito, also by Jake. What can I say, Jake is a great chef. Really though, there are many nods to fans of the series in this book. 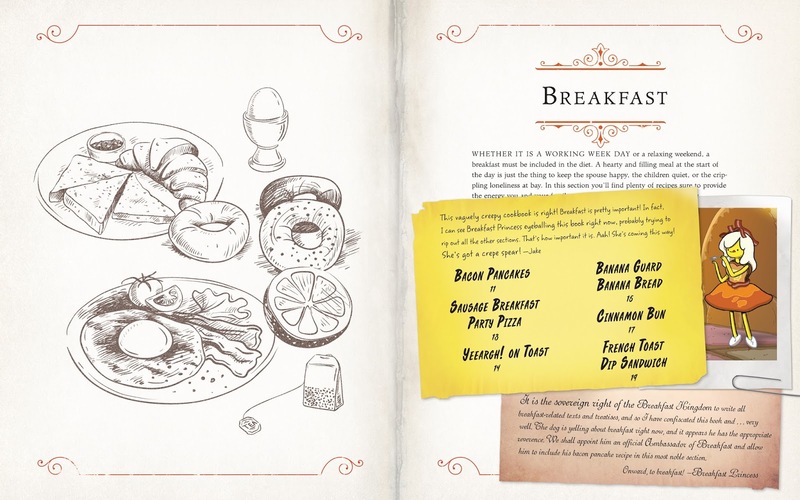 I'd say without being a 100% accurate it has everything food wise mentioned in the show...within reason. Donuts don't grow on trees...yet. They even have a listing for Bug Milk. 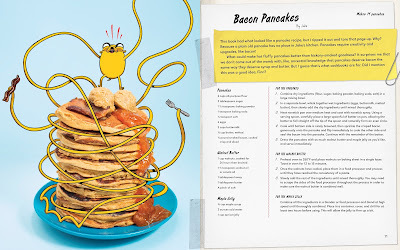 So grab your friends and try and make Finn Cakes, lol...or Tree Trunk's Apple Pie, it's all in the book ready for you to and make. Darn it, it looks very tasty. Reviewer was provided copy publisher for review purposes.